Home » Blog » Uncategorised » Rats chewing your CHEESE!! Yes rats and mice can chew and eat cheese as much as they want to; however, the cheese they are really eating is your money. Yes, they can damage your home in ways you have not thought of. As mentioned in the previous blog Winter Soldiers, these home invaders are ready to raid your ceiling cavity and all the wiring, piping and wood that runs through it. Hence the reason you need to ensure that your home is prepared for this coming winter season. Rats and mice can bite up to six times a second. They have no problem with chewing into and through your AC ducting, electrical wires, TV cables or anything else in your ceiling or crawl space. Rats can climb walls and even swim under water to get where they want to be. Think when summer arrives and all these invaders leave your home and you are wondering why the lights keep going out, or there are strange odors in parts of your home. This is due to the infestation caused by rats and mice in your home. 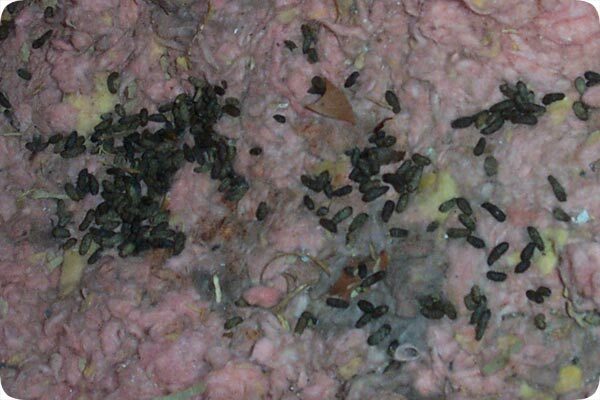 Get rid of or prevent your home from becoming a home to these rodents. Eco-Smart Pest Control offers ceiling and roof vacuuming. Why should you vacuum your roof and ceiling?